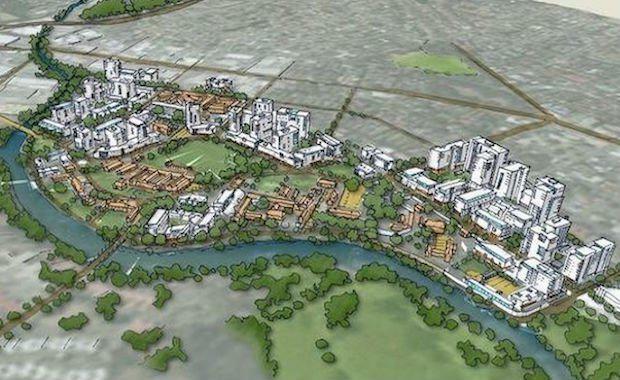 The New South Wales Government has announced the delivery of 6,000 new apartments in North Parramatta. The 146-hectare government owned site between Parramatta River and O’Connell Street has a price tag of $2.1 billion and will see buildings as high as 30-storeys built over the next 15-20 years, preserving the abundance of heritage buildings in the precinct. Urban Taskforce CEO Chris Johnson said it was important to balance the new development with the heritage buildings. “The NSW Government has got the balance right with apartment towers up to 30 storeys high on those parts of the site remote from heritage and only low rise buildings nearer to the heritage precinct,” Mr Johnson said. “Sydney’s trend towards apartment living is having a big impact on Parramatta which is booming with new projects. Urban Taskforce members are currently building towers as tall as 53 storeys in Parramatta and the city is becoming a preferred place to live with its bustling cafe society and street life. NSW Premier Mike Baird coined the development as a major economic boost for western Sydney and said the site as a “state significant site”. The State Government is said to be selling off the building sites to developers who will the have to develop in the perimeters of a development control plan. In an interview conducted by The Sydney Morning Herald Mr Baird said heritage experts would guide the government to ensure the most historically significant sites were preserved. Roughly $8 billion worth of residential and commercial development is currently under work in Parramatta. Starr Partners CEO Douglas Driscoll said even though a large number of developments were happing in Parramatta, the project was unlikely to depress property prices. Mr Driscoll said a very large proportion of the Parramatta North urban renewal project apartments would be purchased by overseas investors.